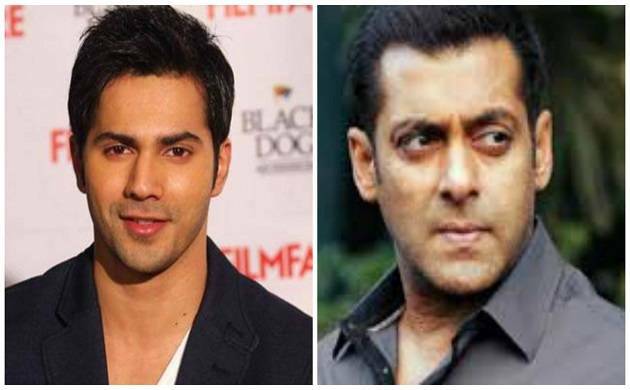 Varun Dhawan says Salman Khan once got upset with him when he called him uncle during a trial show of 1997 blockbuster ‘Judwaa’. Varun, who was just seven-years-old during the making of the film, said the ‘Sultan’ star asked him to say ‘Salman bhai’ instead of uncle. “I went for trial (show of ‘Judwaa’) and I called him Salman uncle he got very upset. He told me ‘I will slap you if you call me that, call me Salman bhai. I don’t care if you are David Dhawan’s son I won’t allow you inside theatre if you call me uncle,’” Varun told reporters at the press conference of ‘Judwaa 2’. The ‘Dishoom’ star said Salman has send him a box full of jeans which he can wear for the role of Raja in the film.